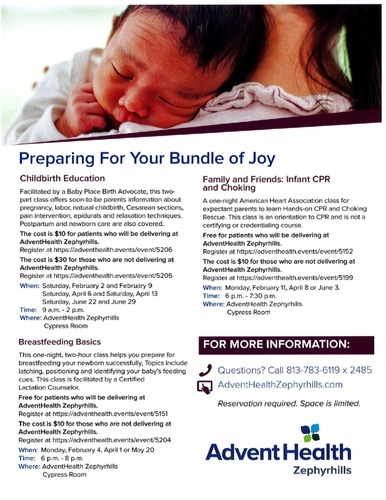 This one night, two-hour class helps your prepasre for breastfeeding your newborn successfully. Topics include latching, positioning and identifying your baby's feeding cues. This class faciliitated by a certified Lacatation Counselor.